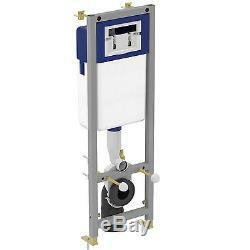 Galaxy Bath LTD 4 Brewery Mews Business Centre St. John`s Road Isleworth TW7 6PH. 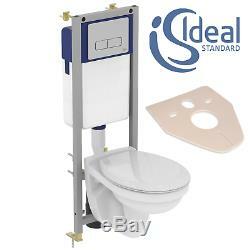 COMPLETE IDEAL STANDARD WC FRAME + CHROME DUAL FLUSH PLATE + IDEAL STANDARD SIMPLICITY TOILET PAN WITH SOFT CLOSE SEAT. 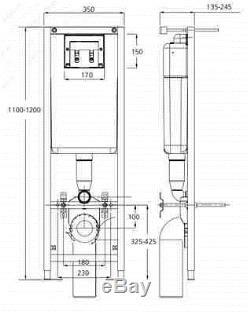 Stop angle valve G1/2, top inlet water supply With flush pipe With PE-waste pipe and fixing clamps Chrome plated Dual flush control plate Dual flush control plate RECTANGULAR Product code: W3708 Control plate - RECTANGULAR for W370567 and W370767 Dual flush, Mechanical, ABS made, IS logo, 0,5 kg Ideal Standard Simplicity Wall Hung Toilet Pan. Ideal Standard Simplicity Soft Close Seat. 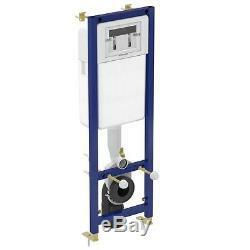 Complete Ideal Standard 35cm Width WC Toilet Cistern Frame MPN W370567. 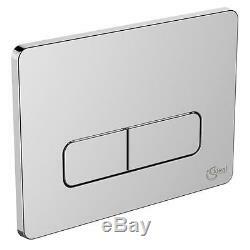 Ideal Standard Chrome Dual Flush Plate MPN W3708AA. 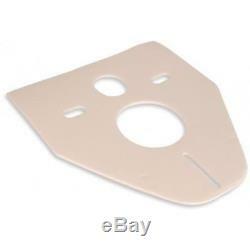 Sanit Eisenberg WC Bend MPN 16.002.00..0000 4. 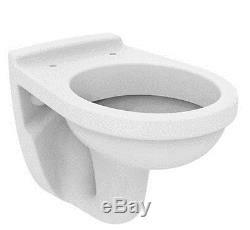 Ideal Standard Simplicity Wall Hung Toilet Pan MPN E876801 5. 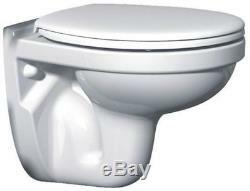 Ideal Standard Simplicity Soft Close Seat MPN E876801. Apply only for orders placed by 1pm. 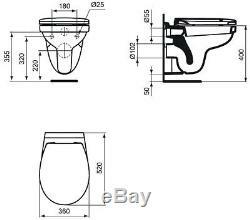 The item "IDEAL STANDARD WC FRAME + SIMPLICITY WALL HUNG TOILET PAN WITH SOFT CLOSE SEAT" is in sale since Thursday, February 11, 2016.